Stratis (STRAT) - Events, Price, Market Cap, Supply, Exchanges and more! 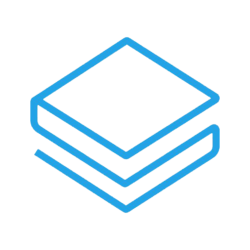 Stratis is a platform for C# blockchain applications built on the .Net framework. 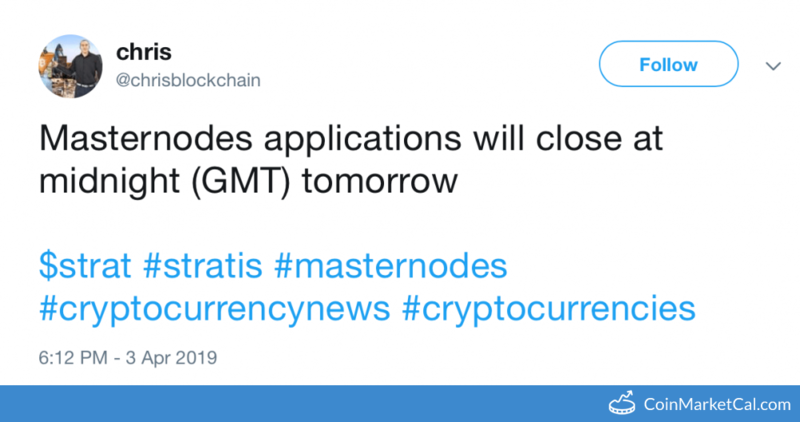 Also, the platform uses a proof-of-stake consensus mechanism and focusses on the enterprise market. 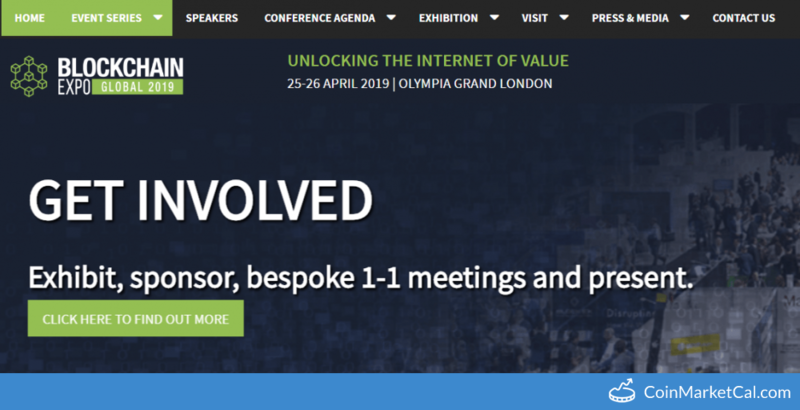 Blockchain Expo Global 2019 at the Olympia Grand, London from April 25-26. 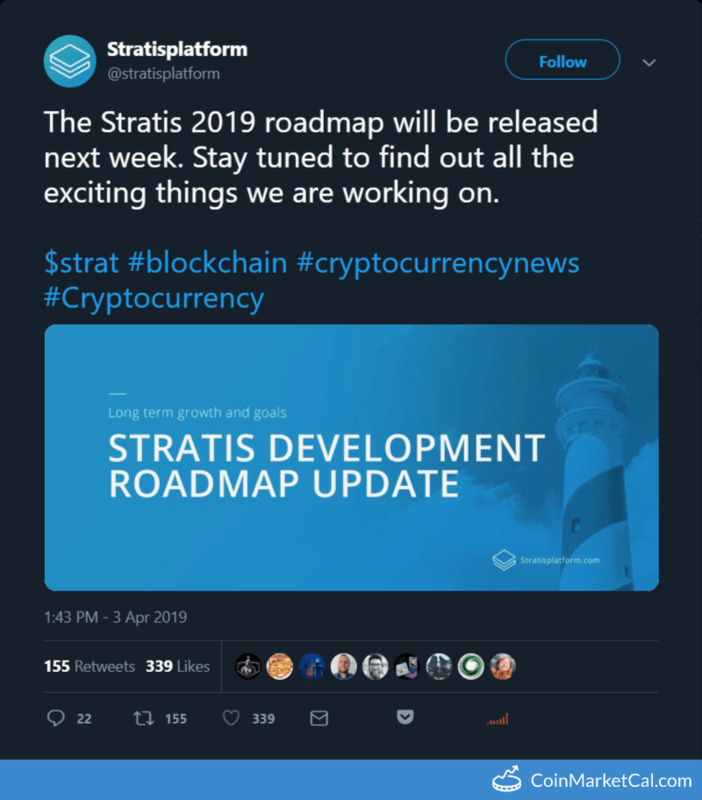 "The Stratis 2019 roadmap will be released next week. Stay tuned to find out all the exciting things we are working on." 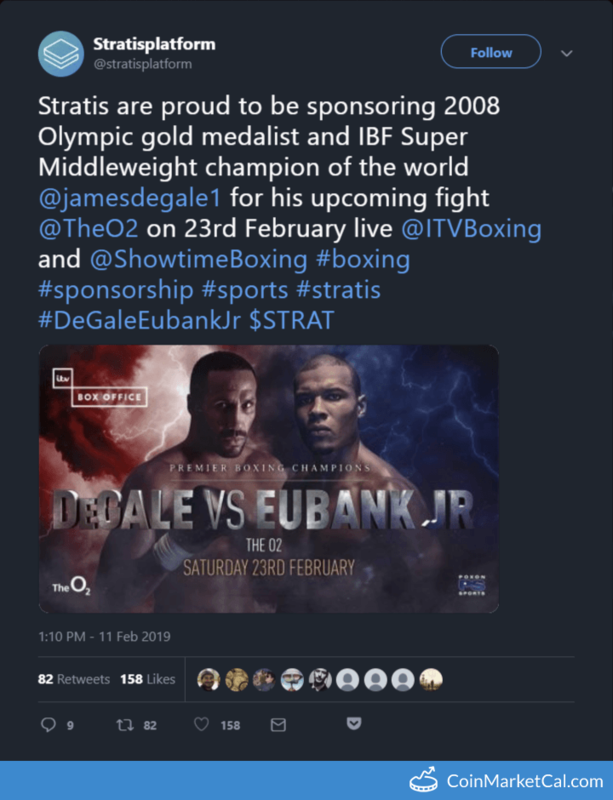 "Masternodes applications will close at midnight (GMT) tomorrow "
"Stratis are proud to be sponsoring ... @jamesdegale1 for his upcoming fight @TheO2...."
Stratis full node production release by end of Q4 2018. 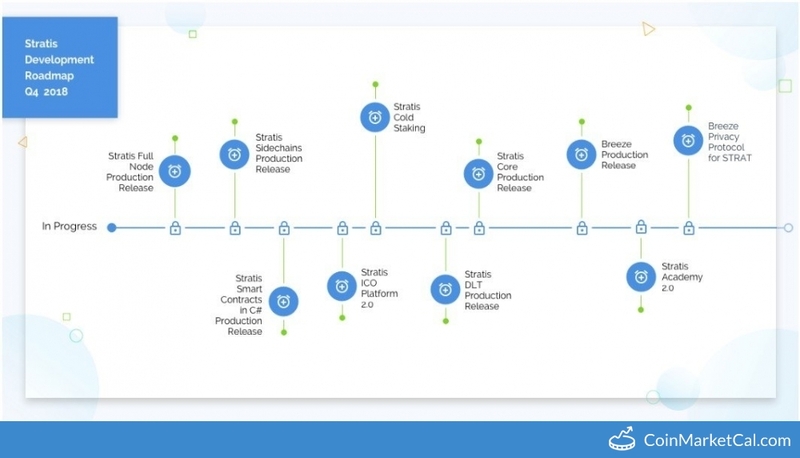 Stratis sidechains production release by end of Q4 2018. Smart contracts in C# production release in Q4 2018. ICO platform 2.0 release by end of Q4 2018. Cold staking planned in Q4 2018.